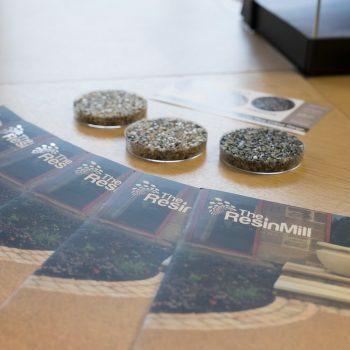 The Resin Mill have a purpose built resin bound training academy, The School of Resin. It is the first of its kind in the UK, devoting itself to educating and benchmarking high performance standards in the industry. The School of Resin trains individuals and organisations the right way. Following the correct guidelines and procedures as outlined by FeRFA, we are committed to excellence. We have a full life size driveway where contractors can practice laying resin bound on to concrete. We do not install on to plywood in our resin driveway training because it does not replicate a real life situation. Resin bound surfacing is the fastest growing sector of the construction industry. It is therefore important to choose resin training that will give you a competitive advantage and a platform to be the best you can be. 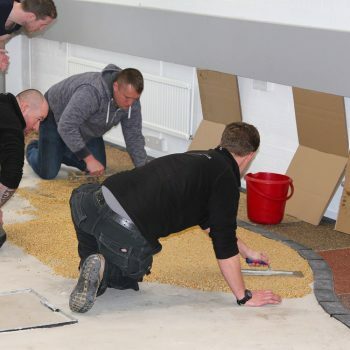 We have trained some of the most successful resin installation companies in the country. Click below to find out more on market-leading resin drive courses at The School of Resin. Or alternatively, browse through our frequently asked questions in the education centre.